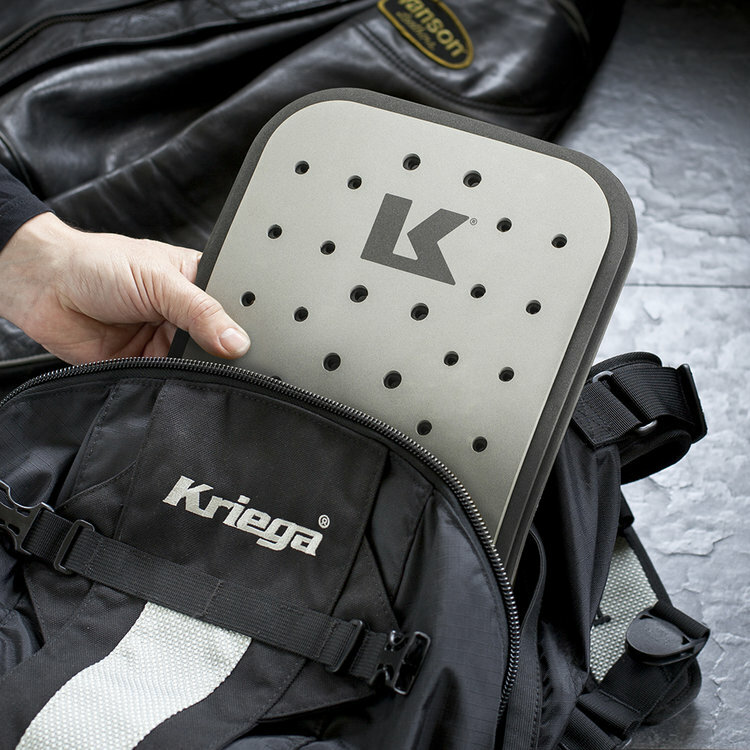 Updated for 2017, Kriega Back Protector Inserts are fully CE approved to EN 1621-2 (level 2) and are designed to fit effortlessly into the inner sleeve of any Kriega backpack offering convenient protection for riders who don’t like to wear body armour or a back protector in a jacket. Medium sized insert fits R20, R25, R30 and R35 backpacks (see small version for R15). 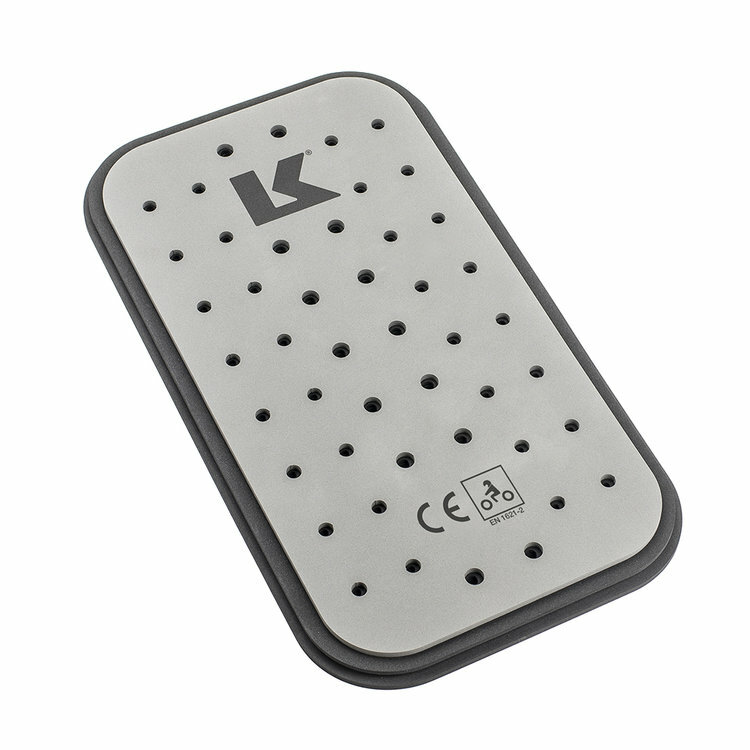 Kriega Back Protector Inserts offer excellent shock-absorbing properties with outstanding performance characteristics. They are light, elastic, flexible and robust. The ideal impact absorbing material is one that on impact compresses to dissipate energy but then slowly returns to its original shape and size. Nitrile closed cell foam slows the moment of peak transmitted force and spreads the impact over the whole surface. The multi-layer construction results in a system that is both lightweight flexible and highly efficient. Protector is simply inserted in to be back panel sleeve to fix it in place.